Prab Girn (Loyola University Chicago) travelled with Sarah Hallahan (Fairfield University) to Thailand, Cambodia, and Vietnam! 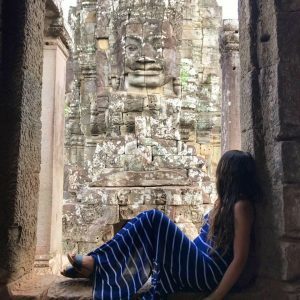 Prab’s favorite part of the entire trip was experiencing Vietnam, witnessing the history there, and seeing how it still impacts the community today. While she loved the food everywhere she went, Prab enjoyed going to the local Bahn Mi shop every day and befriending the owners there! Plane tickets in total for this trip cost around $900. 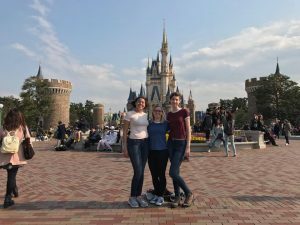 Brenna Michel, Karisma Wilson, and Marie Hofer (Loyola University Chicago) traveled to Japan and took advantage of a lengthy layover in South Korea to explore Seoul! In Japan, they saw Osaka, Kyoto, and Tokyo. 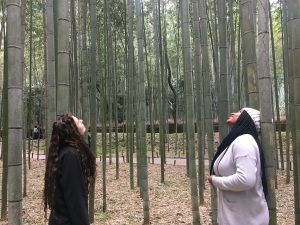 Brenna especially said she loved the whole trip and that having the opportunity to see multiple cities of Japan allowed her to see multiple facades of Japan. This round trip plane ticket was around $400. 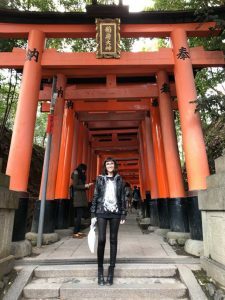 Sarah Vermillion (Loyola Marymount University) also ventured to Japan and visited Fukuoka, Yufuin, Kyoto, Osaka, and Tokyo. She went by herself, but met friends while there. Her favorite destinations were Kyoto and Yufuin where she stayed in traditional resorts and had the opportunity to see beautiful traditional architecture and scenery. Her plane ticket cost around $350. Addy McTague (Loyola University Chicago) spent her spring break in and around Kuala Lumpur, Malaysia. She traveled there alone and stayed with friends who live outside the city. 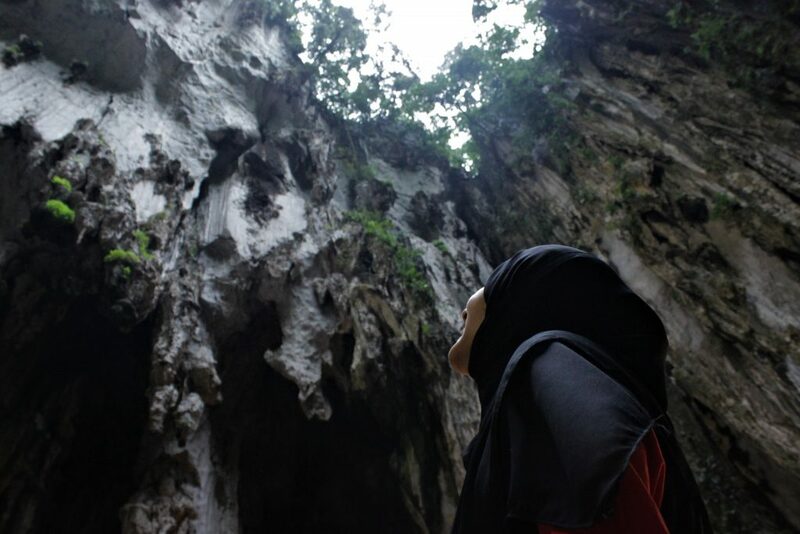 She loved exploring the caves and waterfalls outside of Kuala Lumpur and visiting the beautiful mosques of the region. Her round-trip airfare cost around $150. 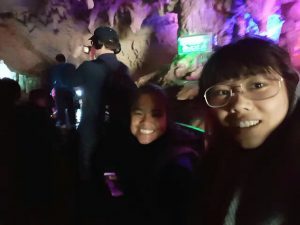 Rachall Lee (University of San Francisco) and Zoe Philips (Loyola University Maryland) stayed in China and got to see Nanning, Guilin, and Shanghai. They had nothing formal planned for any of their stays, so they ended up tagging along a Chinese day tour in Guilin. Though the guide spoke only Mandarin, the experience was one of the highlights of their trip! The entire trip cost around $300. 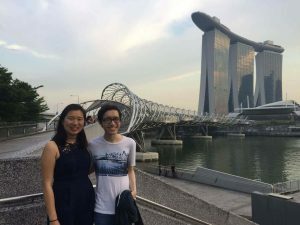 Stephanie Wong (Loyola University Chicago) traveled alone and used her spring break to visit family and friends in Singapore. She particularly enjoyed eating her grandparents’ food and shopping with friends while there. Her flight cost $400. 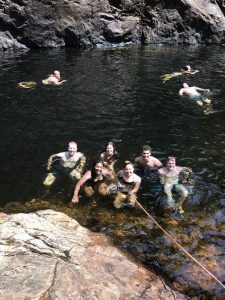 Lauren Jachimczyk, Deb Chevalier, and Aliyah Phipps (Fairfield University) with Gregory Klima (Loyola University Chicago), Matthew Thompson (Boston College), and Marlon Robertson (John Carroll University) went to Thailand, Hong Kong and Shanghai! Lauren loved riding and swimming with elephants in Thailand while Deb said her favorite part was snorkeling on four different islands in Thailand. The trip cost between $1000-$1500. 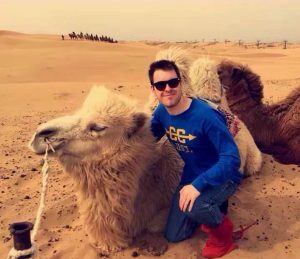 Ben Troy (John Carroll University) journeyed alone to Seoul, South Korea; Tokyo, Japan; Shizuoka, Japan (Mount Fuji); and Inner Mongolia, China. Using Airbnb, his hosts showed him around the different areas. The highlights of his trip were seeing the DMZ, the Seoul Half Marathon, and the Japanese hot springs. Airfare cost around $1000. Alex Crump (Loyola University Chicago) utilized the long spring break to visit his girlfriend who is studying abroad this semester in Barcelona, Spain! His favorite part was climbing Montserrat. His plane ticket was $600. Want to see more? 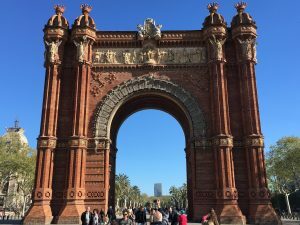 Check out students’ travel photos below!